CorelDRAW Graphics Suite 2019 is the content-rich environment and professional graphic design, photo-editing and vector illustration software. Whatever your design passion, talents or interests, CorelDRAW Graphics Suite 2019 delivers a collection of seven powerful applications to satisfy all types of creativity. It gives you everything you need to express your style and creativity with endless possibilities. You’ll be amazed by how many different types of original projects you can design! Combine your creativity with the unparalleled power of CorelDRAW Graphics Suite 2019 to design graphics and layouts, edit photos, and create websites. With multi-monitor viewing and 4K displays, the suite lets first-time users, graphics pros, small business owners and design enthusiasts deliver professional results with speed and confidence. With a fresh look, new must-have tools and major feature enhancements, CorelDRAW Graphics Suite 2019 opens up a world of new creative possibilities. Discover high-caliber and intuitive tools to create logos, brochures, web graphics, social media ads or any original project. Whether you’re a first-time user or an experienced designer, CorelDRAW Graphics Suite 2019 makes it easy to get started. Learn the basics, see what’s new with a Startup tour, or transition to the suite with a special walkthrough designed just for Adobe users. Be productive immediately with a workspace that matches your workflow needs, and benefit from high-quality content and versatile in-product learning. Make the most of your design skills with the intuitive, high-caliber features of this graphic design software. Quickly find fonts for any project with the font search and filtering feature. Save valuable design time with the new LiveSketch tool that allows you to capture an original idea on a pen-enabled device the moment creativity strikes. Work faster with the new node editing, and refine your photos with the Healing Clone tool in Corel PHOTO-PAINT 2017. Feel right at home with all of your favorite tools! Adapt your design space to your needs with the custom icon size, desktop, and window border color. Explore and organize fonts for your projects with the help of the popular Corel Font Manager 2019. Expand your collection of creative tools and content by downloading free and premium apps, plugins, extensions, font packs and more, directly from within the applications. Deliver professional-quality output that will make a lasting impression across any medium: from distinctive logos and signs to striking marketing materials, web and social media graphics, billboards and more. With its industry-leading file format compatibility and advanced color-management tools, CorelDRAW Graphics Suite 2019 provides the flexibility and color accuracy you need for all types of projects. Discover a vibrant and inspiring community of CorelDRAW users to positively influence your creative journey. Now available on Mac as well as Windows. 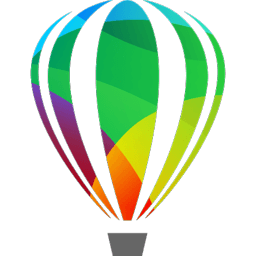 NEW: CorelDRAW.app – access CorelDRAW cloud-hosted files via the web. ENHANCED: a Redesigned user interface to improve navigation, consistency, and productivity. Language: EN / RU / BR / DE / ES / FR / IT / NL / CZ / PL / TR / CS / CT / JP – Registered Version! Hi team! What languages does include?